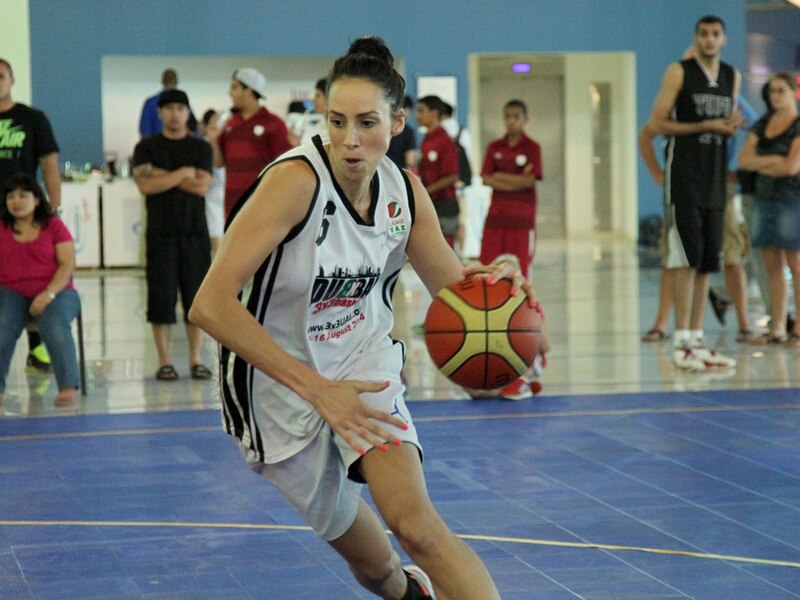 UAE 3×3 Basketball | Play it. Dream it. Live it. His Excelency AREF AL AWANI, general secretary of Abu Dhabi Sports Council and mister Patrick Baumann, FIBA general secretary signed the official agreement that will bring the most important event of 3×3 basketball in the UAE for the next two years. TALAL AL HASHEMI, Sport Technical Affairs Division Director of ADSC and KHALID AL HANAEI, 3×3 Committee Chairman of UAE Basketball Association were also part of the UAE delegation while Extra International Sport was represented by mister Daniel Lupasc, CEO of the company. The 2015 FIBA 3×3 World Tour Final will be staged outdoors at the Corniche, a high-traffic leisure area situated on the shores of the Arab Gulf on 15-16 October. The FIBA 3×3 World Tour is the pinnacle event of an ‘open’ network of FIBA-endorsed 3×3 tournaments, which sees teams of four players – regardless of their nationality – representing their city in various events, eventually making their way to the world stage. It consists of six Masters events, before culminating with the FIBA 3×3 World Tour Final, which was held in Miami in 2012, Istanbul in 2013 and Tokyo in 2014. The overall prize money is 200,000 US dollars on the season. Team Novi Sad (SRB) won the last edition. The event extends beyond the game with non-stop music and the presence of top streets artists in a genuine urban culture festival, bringing basketball to the people in the heart of the cities against a backdrop of the most iconic cityscapes on the planet. 2015 will be an eventful year for 3×3 with the fourth edition of the FIBA 3×3 U18 World Championships in Hungary on 4-7 June, the inclusion of 3×3 in the European Games in Azerbaijan on 23-26 June and the third edition of the FIBA 3×3 All Stars in Qatar in December. 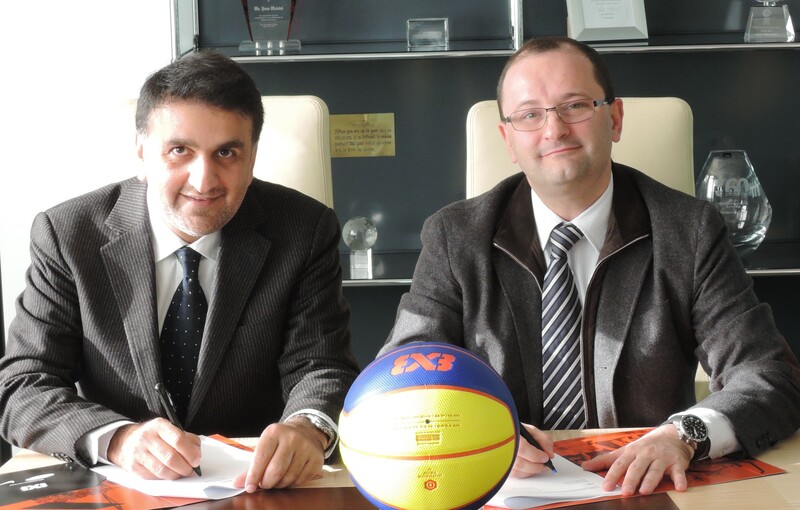 The full calendar of the FIBA 3×3 World Tour will be announced at a later stage. 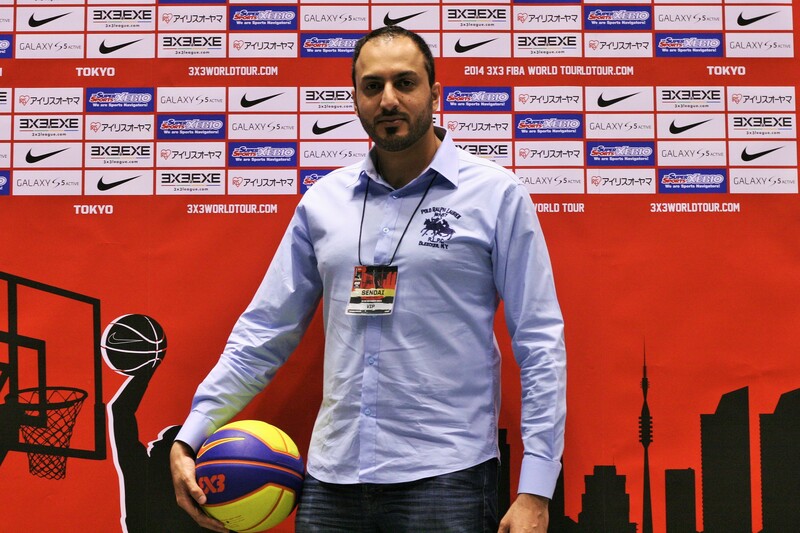 The first steps of the 3×3 basketball in UAE were made this summer, during the FIBA U17 World Championships, when two tournaments were organized in Dubai with the support of the UAE Basketball Association. With the prospect of developing even more this spectacular and dynamic basketball discipline around the golf countries in general and in UAE in particular, the visit of Mr. Khalid AL Hanaei was a successful one, and included a short meeting with the FIBA general secretary, Mr. Patrick Baumann. 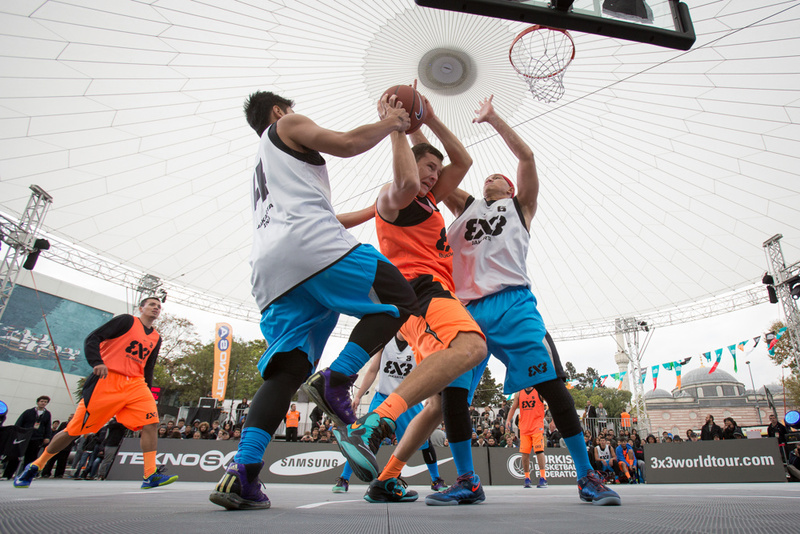 Stay tuned on our website and facebook page (www.facebook.com/3x3UAE) for more news regarding 3×3 basketball in Emirates. The FIBA 3×3 World Tour will reach its climax at the end of this week, when in Sendai, Japan, will take place the third FIBA 3×3 World Tour Final. The best 12 teams in the world are ready to put up for a big show, after they fought hard all the season to gain their tickets to the big final. Players from all over the world climbed the ladder of FIBA 3×3 Competition Network, from feeders and quests to challengers and World Tour Masters in order to achieve greatness on the biggest stage of them all, the FIBA 3×3 World Tour Final. With the reigning champions – Team Ljubljana, from Slovenia – already knocked out at the Lausanne Masters, last year’s runners-up Team Novi Sad look like the heavy favourites in Japan. After all, they dominated the Prague Masters and feature the number one 3×3 player in the world in the individual world ranking, Dusan Domovic Bulut. The seeding of the teams is conducted automatically according to the 3×3 individual world ranking (of the three best players from each team), and the tournament will see some familiar faces of the World Tour. Some of them are part of the historic Bucharest team, from Romania – the only squad to qualify for the FIBA 3×3 World Tour Final in all three editions, and reached the quarter-finals in each of the previous finals, in Miami 2012 and Istanbul 2013. Angel Santana and Catalin Vlaicu are the only players that took part in all three finals, and are the core members of a team that won the first ever 3×3 European Championships, held in Bucharest, in September. One of the toughest pools will feature Team Kranj (Slovenia), Team Doha (Qatar) and Team Wukesong (Beijing. TeamKranj is back from last year’s Final when they beat Bucharest in the quarter-finals and lost in thrilling fashion against Novi Sad in the semi-finals. Team Doha owns several players who won the FIBA 3×3 World Championships for Qatar in Moscow, Russia on 5-8 June 2014 while Wukesong, the team that won the Beijing Masters earlier this year and is led by Chris Reaves, the top scorer at the FIBA 3×3 World Tour so far (51 points). There is one team back from last year’s final in each pool as the former quarter-finalist from Saskatoon (CAN) highlight Pool D. The Chicago Masters winners will have to cope with a challenging pool with Trbovlje (SLO), who won the Lausanne Masters this season and made it to the first-ever FIBA 3×3 World Tour Final in 2012 as well (finishing fourth). The local favourites from Kobe (JPN) complete the pool. Pool games will start at 12:20 local time (GMT+9) on Saturday, live on 3×3’s official YouTube channel. The top-two placed teams from each pool advance to a standard knock-out round which starts at the quarter-finals stage, from 12:45 (GMT+9) on Sunday. All games will also be livestreamed on FIBA 3×3’s official YouTube channel. 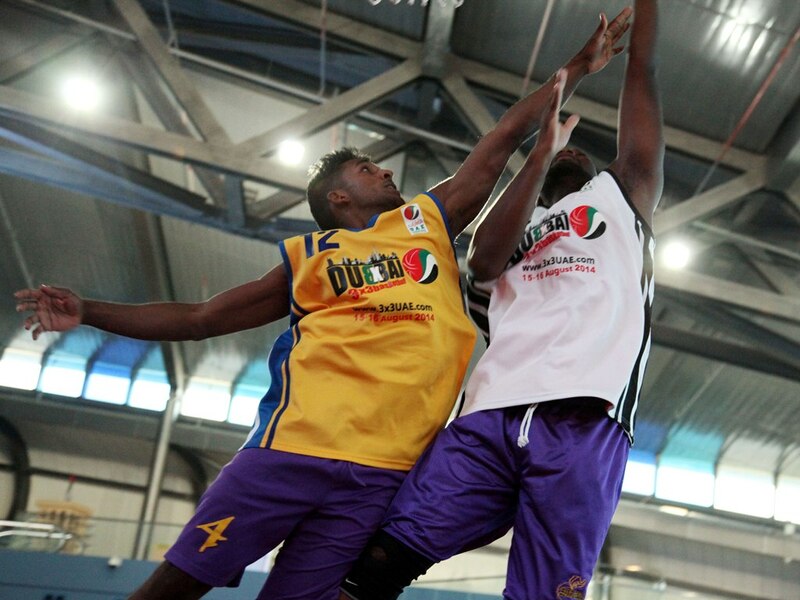 UAE Basketball Association climbed 34 positions in the FIBA 3×3 Federation Ranking and entered Top 100, after the two tournaments organized in cooperation with Sport Arena and Extra International Sport in Dubai, last month. Previously 130th in the world, the country is now positioned 96 in the world, with 31,940 points and has 120 ranked players in the FIBA 3×3 World Rankings. Both tournaments that contributed to this result were organized in Dubai, as side-events for the FIBA U17 World Championships, and featured a total of 43 teams. There were the first popular FIBA endorsed events organized in UAE, a fact announced also on the official website of FIBA, in 3×3 basketball section. 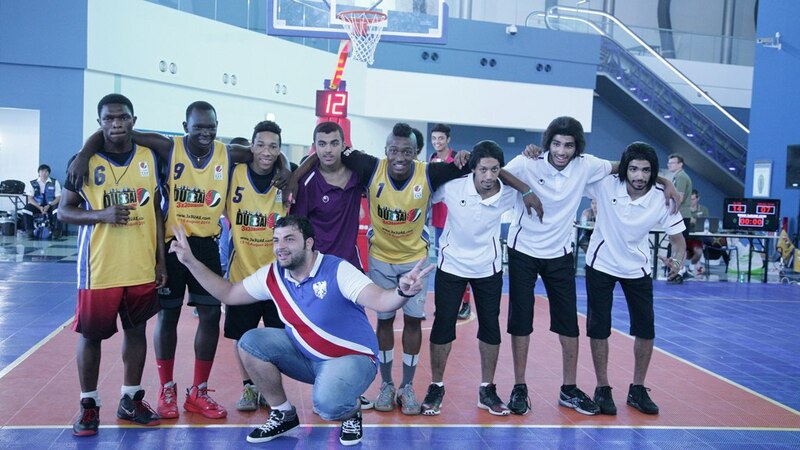 The winners of the Dubai 3×3 Basketball – Stage 2 had plenty of reasons to be happy at the end of a two day competition. They played at their best, they enjoyed a weekend full of basketball and they received their prizes, medals and trophies on the court, during the halftime of the bronze medal game of the FIBA U17 World Championships, between Serbia and Spain. The tournament had a total money prizes of 1.500 USD. 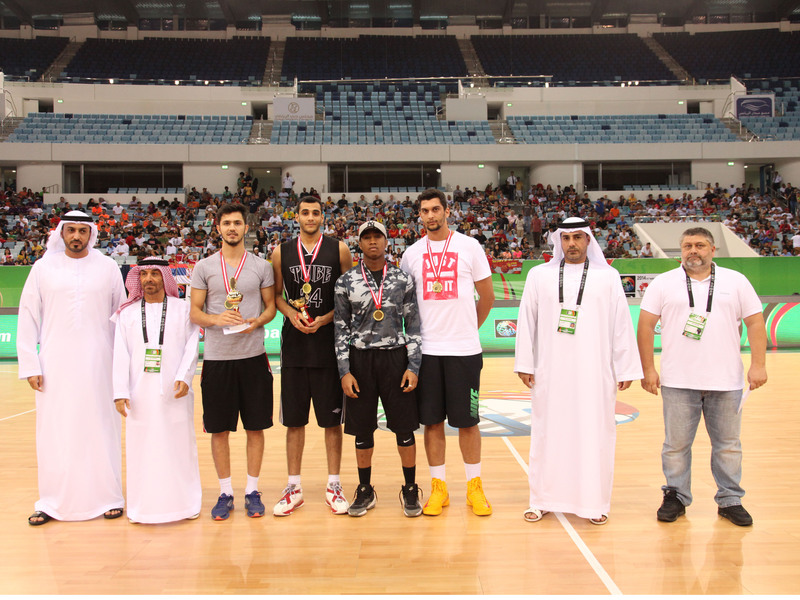 The award ceremony was presented by HE Abdulla Al Ansari, HE Mansour Al Hashimi and HE Khalid Al Hanaei, from the UAE Basketball Association, one of the main organizers of this 3×3 basketball competition, together with Dubai Sports Council and their partners Sport Arena and Extra International Sport. And what can be bigger than to be honored on the same stage as your idols. Natasa Tasic for example, a former professional Serbian player that won the 3×3 women competition, being named the MVP also, received her trophy and then watched her favorite national team winning the bronze medals. It was a special tournament, organized in an unusual place, at the main entrance of Hamdan Sports Complex, just a couple of meters from the state-of-the-art pools of this architectural beauty. The 3×3 basketball court was set up in less than four hours and it was the main stage for the second Dubai 3×3 Basketball tournament organized as a side event for the FIBA U17 World Championships. And some of the skills that basketball players showed on the court had a lot in common with diving, the main sport in Hamdan Sport Complex. Leaving everything on the floor and diving for every ball was a big part of some very competitive games, while some of the players seemed that they really used some invisible trampolines to fly above the rim. With many games ended in overtime, some spectacular crossovers, some fancy assists and some jaw-dropping dunks, all mixed up with the cheering of the fans and the entertaining playlist of DJ Mike, Dubai 3×3 Basketball – Stage 2, was a real joy for everybody. Even for Al Ain club basketball players who were the special guests in the All Star Game, where they played against the best 3×3 basketball players of the tournament. 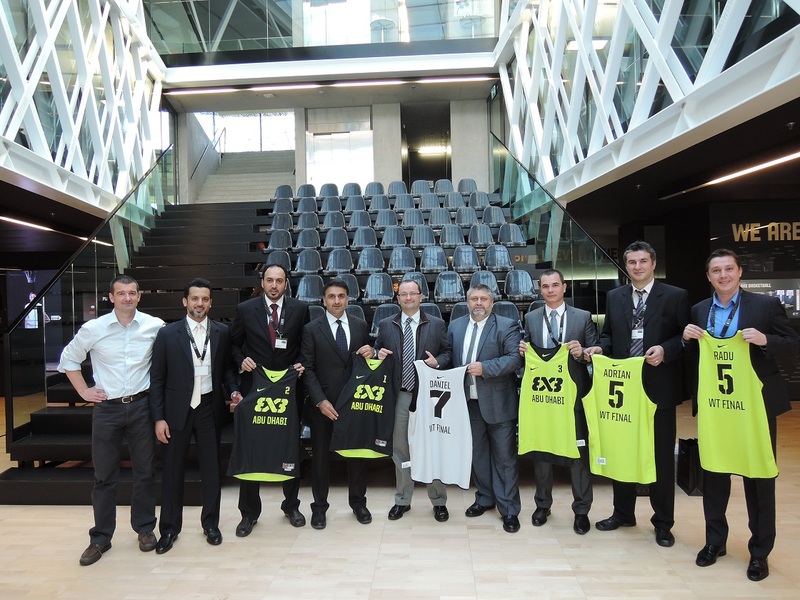 And quoting a famous movie dialog, this must be the beginning of a beautiful friendship between basketball lovers from UAE and 3×3 basketball, a discipline that is developing worldwide at full speed. 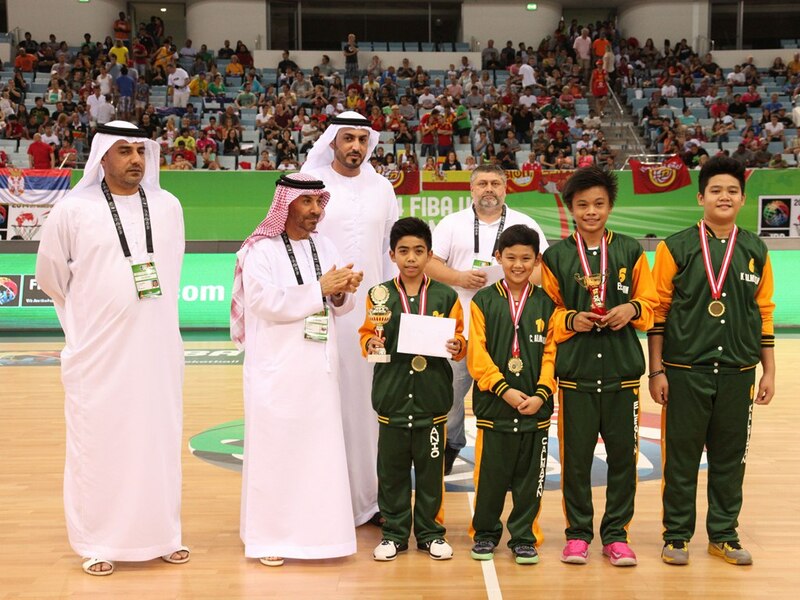 The winners of the Dubai 3×3 Basketball – Stage 2 had plenty of reasons to be happy at the end of a two day competition. They played at their best, they enjoyed a weekend full of basketball and they received their prizes, medals and trophies on the court, during the halftime of the bronze medal game of the FIBA U17 World Championships, between Serbia and Spain. And what can be bigger than to be honored on the same stage as your idols, especially for Natasa Tasic for example, a former professional Serbian player that won the 3×3 women competition, being named the MVP also, and then watched her favorite national team winning the bronze medals. Winners of the second stage of the Dubai 3×3 Basketball were The Leopards (Open Men), Panthers (Open Women), Crossover (U18 Boys) and Terriballs (U14 Boys). 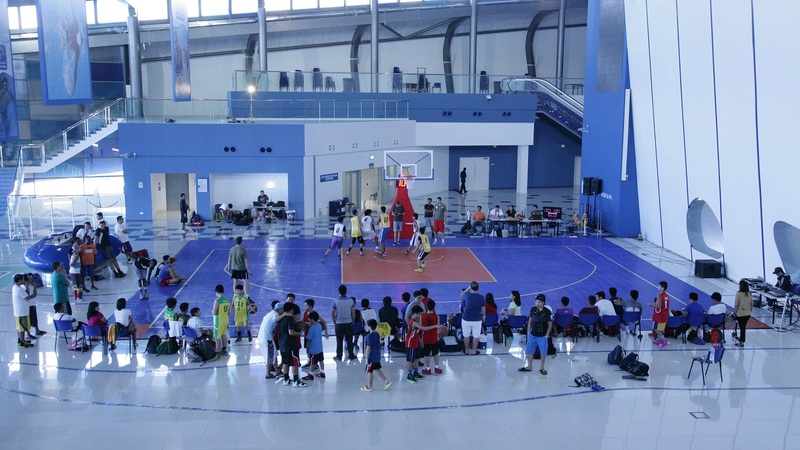 Just a couple of meters from the state-of-the-art pools of the Hamdan Sports Complex, a 3×3 basketball court set up in less than four hours was the main stage for the second Dubai 3×3 Basketball tournament organized as a side event for the FIBA U17 World Championships. With three games ended in overtime, some spectacular crossovers, some fancy assists and some jaw-dropping dunks, all mixed up with the cheering of the fans and the entertaining playlist of the DJ, the first day of the Dubai 3×3 Basketball – Stage 2, was a real joy for everybody. And this is not all. Saturday we will finish in style with the championship games and the award ceremonies for every category. We wait every basketball lover from Dubai to join us for entertaining games, contests for the fans, a slam-dunk contest and more and more fun. Dubai 3×3 Basketball is organized by UAE Basketball Association and Dubai Sports Council, together with their partners, Sport Arena, Extra International Sport, Pilipinas Premiere League and Event Management, Dubai Hoops Academy and FY Sports. The second stage of the Dubai 3×3 Basketball will start Friday morning with the pool phase games and will end Saturday evening, just before the third place game of the FIBA U17 World Championships. More than 100 players registered for the second tournament, that features three men categories and one women category with a total of 26 teams. 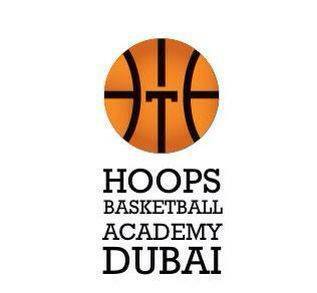 The UAE Basketball Association and Dubai Sports Council, together with their partners, Pilipinas Premiere League and Event Management, International Sport Academy, Hoops Basketball Academy Dubai and Sport Arena, will organize a second 3×3 basketball tournament, as a side event of the FIBA U17 World Championship. 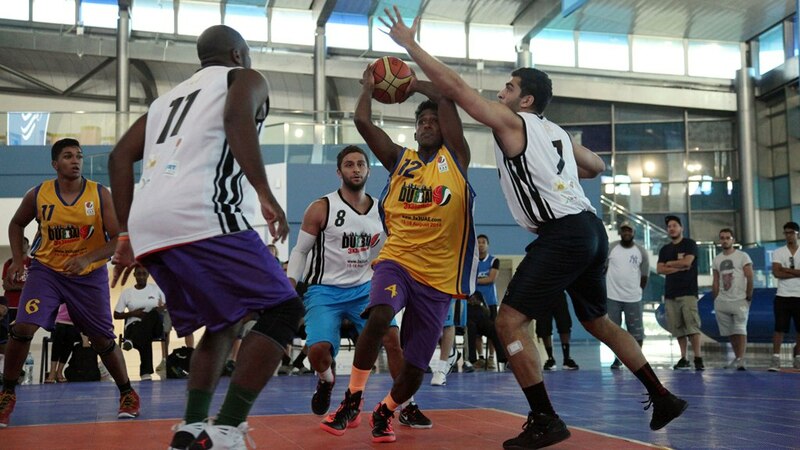 The first event took place last weekend at Al Ahli Club, but now the action will move to Hamdan Sports Complex where a 3×3 official basketball court will be set-up for 15 and 16 of August. 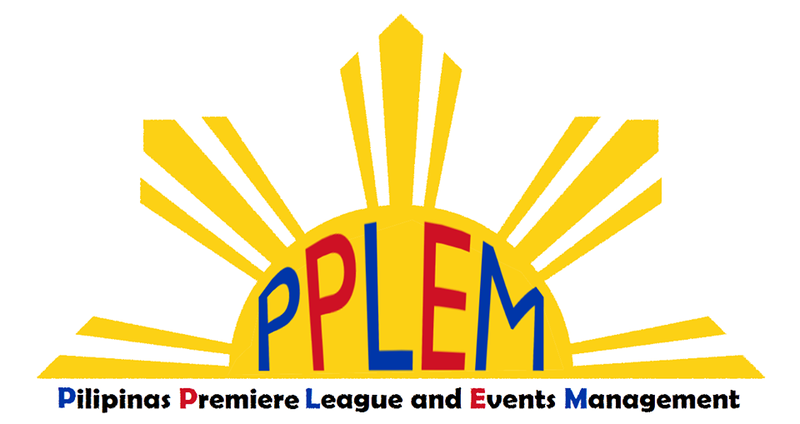 Teams from Open and U18 categories can register via the FIBA portal, www.3x3planet.com, while the teams for U14 category can register via the contact form from our website. The registration is free and a total prize money of 1000 USD will be awarded.